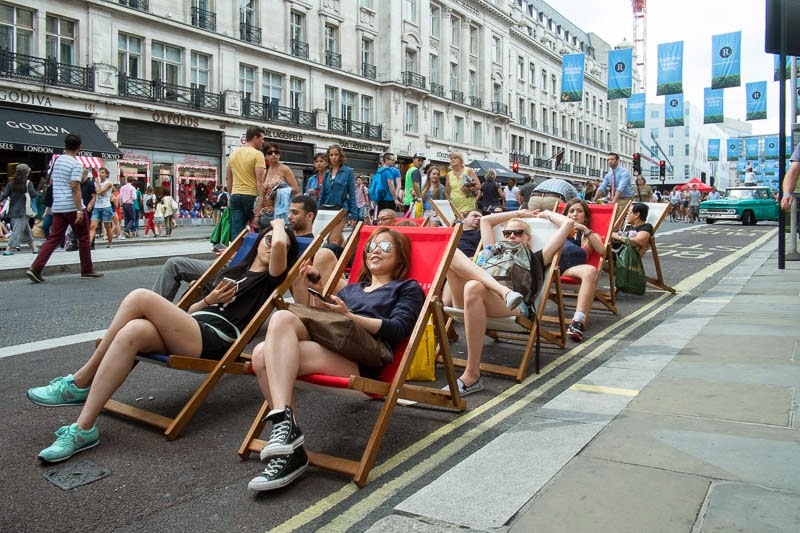 Chill out in Regent St and enjoy the summer festival. Traffic is banned for the weekends throughout July so expect garden parties, fashion shows, music and loads of other activities rather than buses and cabs. This sure beats the usual congestion and fumes. I vote for making this permanent. That must be something special. I can't imagine Regent Street like that. Oh wow, I like t his idea! Wish I was there to take some photos! The crowd looks relaxed, at any rate. I am all for this sort of thing. Summer seems to be a time for urban experimentation. I hope this becomes permanent. Wow, I've never seen Regent St like that! So peaceful! Hadn't heard about that. Sounds a brilliant idea!